At a Nairobi prison this morning in 1957, the most famed and feared of the so-called Mau Mau was hanged under emergency measures permitting the death penalty for illegal firearms possession. The armed Mau Mau uprising against British colonialism was by this time on its last legs militarily, having been ground down by years of murderous anti-insurgent operations and pleasantries like mass internment. It had been an ugly fight on all sides, with overlapping conflicts — within the Kikuyu tribe, between Kenya’s native populations, and between the British Empire and her faraway subjects — brutally settled. Certainly the Mau Mau’s depredations had garnered voluptuous press coverage in the mother country; accordingly, the capture of “Field Marshal” Kimathi, the biggest name in the insurgency, was a plume in the British lion’s cap. 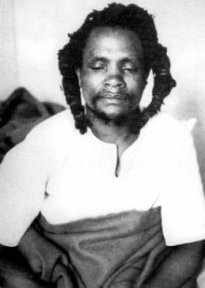 Notwithstanding the (still) official London take on Kimathi and the Mau Mau, their fight for the independence Kenya would soon attain has made Kimathi a hero to many Kenyans. * He was honored on the 50th anniversary of his death with a bronze statue in Nairobi. never stop saying to the settlers: ‘we are still capable of stopping the slaughter; the masses still have confidence in us; act quickly if you do not want to put everything in jeopardy.’ … as the settlers cannot discuss terms with these Mau-Mau, he himself will be quite willing to begin negotiations. * Although many surviving Mau Mau themselves are nonplussed by their post-independence treatment.